Winner of the Pulitzer Prize, Tennessee Williams's A Streetcar Named Desire is the tale of a catastrophic confrontation between fantasy and reality, embodied in the characters of Blanche DuBois and Stanley Kowalski. 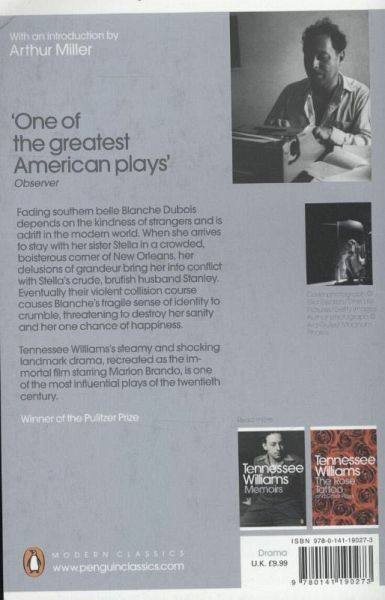 This Penguin Modern Classics edition includes an introduction by Arthur Miller. 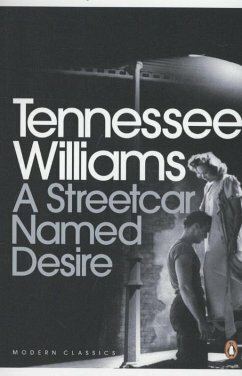 'I have always depended on the kindness of strangers' Fading southern belle Blanche DuBois is adrift in the modern world. When she arrives to stay with her sister Stella in a crowded, boisterous corner of New Orleans, her delusions of grandeur bring her into conflict with Stella's crude, brutish husband Stanley Kowalski. Eventually their violent collision course causes Blanche's fragile sense of identity to crumble, threatening to destroy her sanity and her one chance of happiness.